The N.C. Cooperative Extension Service is committed to fueling the food system with innovation and support—which includes small food businesses. As an important part of the local food system, we want to hear your feedback about your greatest challenges and needs. The survey only takes 5 minutes…we promise! 🙂 Survey will close on February 15, 2019. 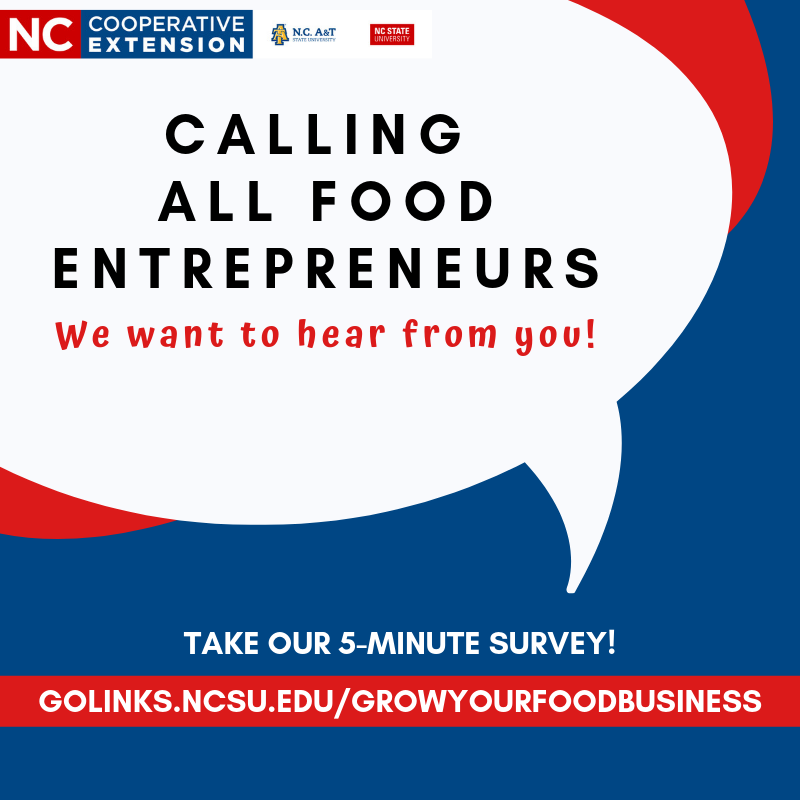 We encourage you to share this survey with other food entrepreneurs!